It is within the Italian tradition to share great food, made from fresh, basic ingredients, with family and friends. It is with that love of food that families, friends and strangers come together to enjoy authentic, Italian cooking at Bazzarelli Restaurant in Moonachie, NJ. 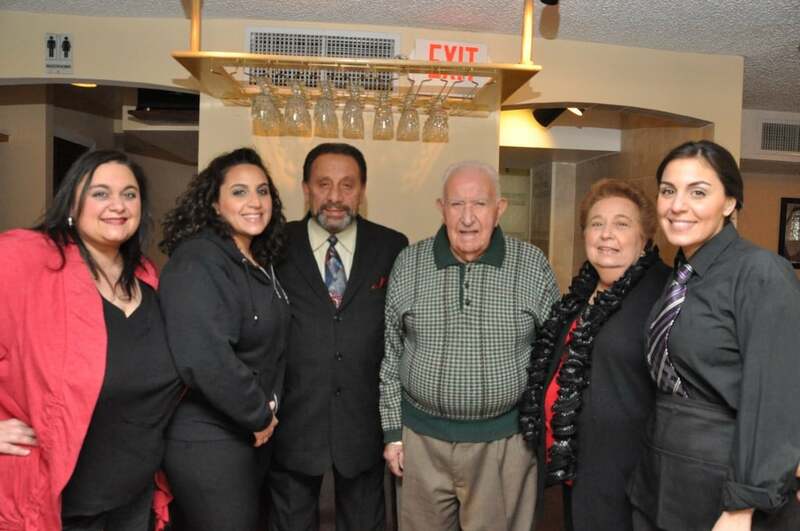 Italian-born owner and host, Aldo Bazzarelli welcomes you to Bazzarelli Restaurant, where he and his family charm you with home-style Italian cooking and hospitality. The restaurant is alike a home away from home for the Bazzarelli family, who spends much of its time working or simply relaxing in the dining room at the restaurant. Mr. John, Aldo’s father-in-law, may be retired from the restaurant, but guests can usually find him reading Oggi, an Italian newspaper, or drinking an espresso at the bar on a daily basis. 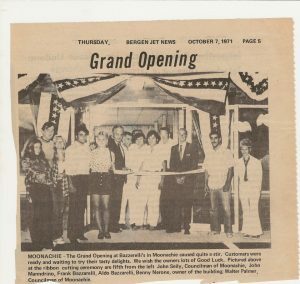 It was in 1971 that Bazzarelli Restaurant was established. 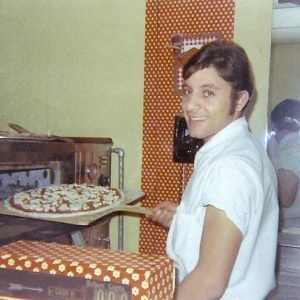 Mr. John and Aldo started the business making pizza in the original Bazzarelli Restaurant, previously located across the street from its present location on Moonachie Rd. While Mr. John and Aldo were making pizza in the kitchen, Aldo’s wife, Costanza, was watching their newborn baby, cleaning and making sandwiches on the front-end with Angelina, Aldo’s mother-in-law. Five years later, the family moved the restaurant across the street to a larger location, where it has established its reputation for excellence ever since. Throughout the years, Bazzarelli family members have come and gone working for Aldo. “We call ourselves the parental unit,” said his oldest daughter, Rosangela. After leaving Calabria, Italy in the late 1960s, Aldo’s three brothers came to America to follow in his footsteps. The three brothers were able to learn about the restaurant business while working for Bazzarelli Restaurant. Eventually, the three moved forward to start their own successful restaurants in NJ. Bazzarelli Restaurant’s claim to fame is its fresh, simple ingredients used in both classic and modern Italian dishes, such as Trippa Mediterranea and Pizza al Piatto. When asked what ingredients were essential to Bazzarelli’s dishes, Aldo jokingly said “sale, peppe e pepperocini.” Translated in English, those ingredients are salt, pepper and hot green peppers. Bazzarelli’s offers weekly specials, a full bar and extensive wine list, as well as delectable desserts, such as Tiramisu and hand-filled cannolis. Your pleasurable dining experience at Bazzarell’s is always served with a smile and possibly an entertaining conversation with Aldo. Available Mon-Thurs. 11am - 9pm. Please call 201-641-4010.